Beautifully designed and custom-branded for the restaurant. Functionally integrates mobile ordering, digital loyalty, table reservations and social sharing into one restaurant app. Attract millennials to your restaurant with a functional mobile app. One mobile app for restaurant menu, food images, mobile ordering, digital loyalty, social sharing and table reservations. Custom-designed and 100% branded for the restaurant. 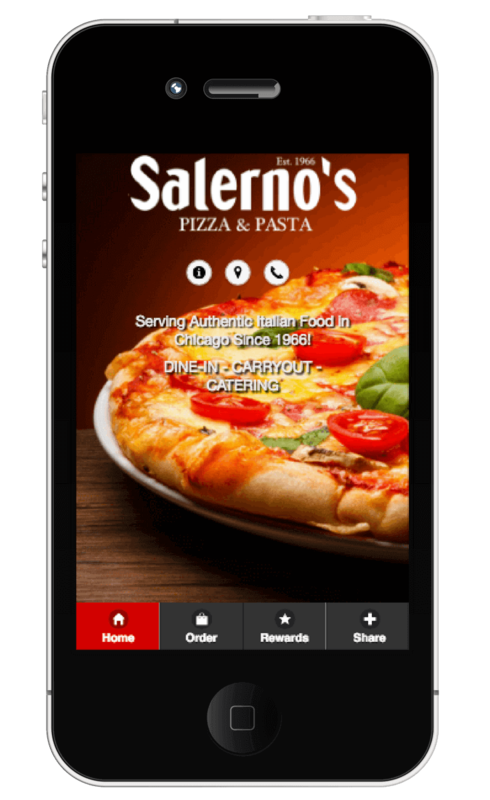 Mobile app integrates online ordering, POS integration and printing online orders directly to kitchen. Loyalty program integrated to the app. Table reservations integrated. Cost-effective, easy adoption and highly effective in driving mobile traffic to the restaurant through orders, reservations and repeat loyal customers. Need a mobile app for your restaurant? We build beautiful and functional mobile apps. Talk to us to see a demo.